We understand our customers and servicing them and the relentless commitment to EXCELLENCE is at the heart of everything we do. While we naturally have the machinery and the tools to do the job, what separates us is our people. We are a family of committed individuals who take pride in our work and strive to exceed all expectations. The attitude of not being satisfied until you are, ensures your parts meet the strictest standards. We all depend on reliable launches and zero production interruptions. We believe culture eats strategy for breakfast…where our ability to solve problems is the result of trust and the emphasis on continuous improvement. 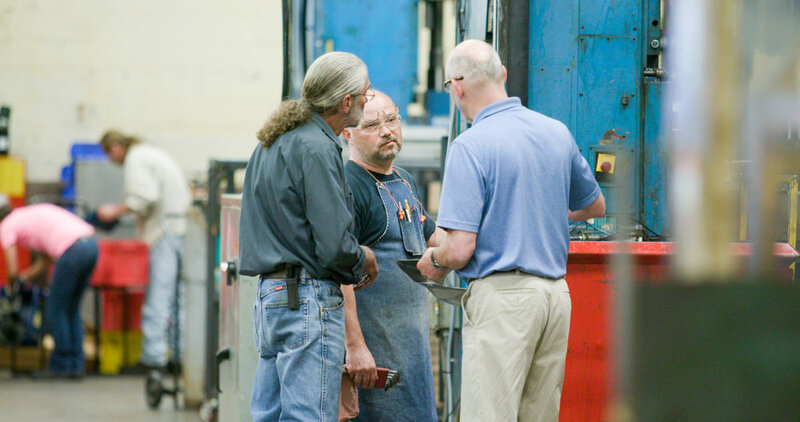 We have the experience and the talent to create the parts for tomorrow’s needs. We believe in servant leadership, where we are a company of leaders building future leaders for the long-term sustainability of AMG. Providing guidance, direction and resources to develop all our employees is the mission. Our vision is for customers to recognize us as a world class partner, innovating components and complex assembled solutions. Our mission is to be your partner.